I don't know about you but I am sure glad it is Wednesday, this week has been jam-packed full of homework, exams, work, and blogging…I'd settle for a slowdown anytime now! I am having a hard time channeling my inner inspiration and motivation these days. I feel like every once in awhile I get in a slump and need a pick me up to keep me going. I was trying to think of something to create in my apartment that would be a go-to inspiration spot. I know many of you probably have an inspiration board around your house and I decided that I needed one too, my only problem is finding where to start. I first needed to compile a list of things that inspire me…so here we go! I have made a virtual image to brainstorm what inspires me…keep in mind this is not everything just a start! First and foremost, family is the biggest inspiration followed by faith and love. Love in friendships and relationships definitely keeps me going along with going to church and writing in my prayer journal. I love flowers, peonies especially, and who doesn't love fresh flowers sitting on your desk? My Russell and Hazel Mini Planner is another huge inspiration. I find that when I am organized, my mind is free of clutter so I have more clarity to think and work. The right corner is a medical symbol that inspires me to keep on the path of becoming a doctor. I truly find so much inspiration from the blogs I read daily, ergo "I LOVE BLOGS." 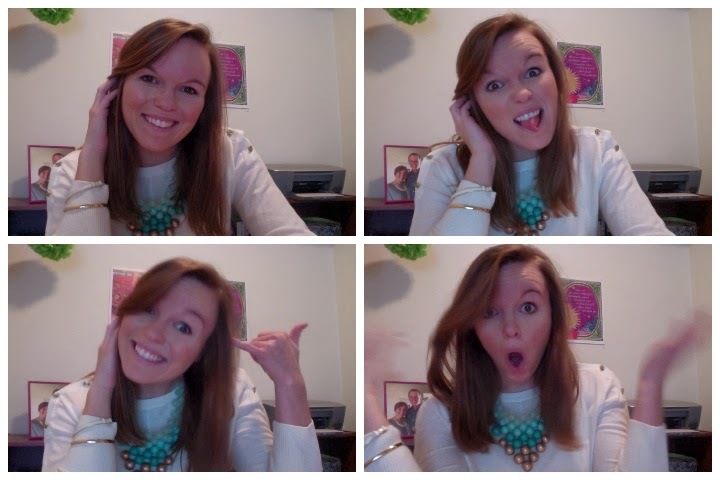 I love going to my favorite blogs each morning to see what they are up too, to name a few of my favorites: Stephanie S. (her print is in the top left-hand corner), Gal Meets Glam, Hi Sugarplum, iheart Organizing, and College Prepster. 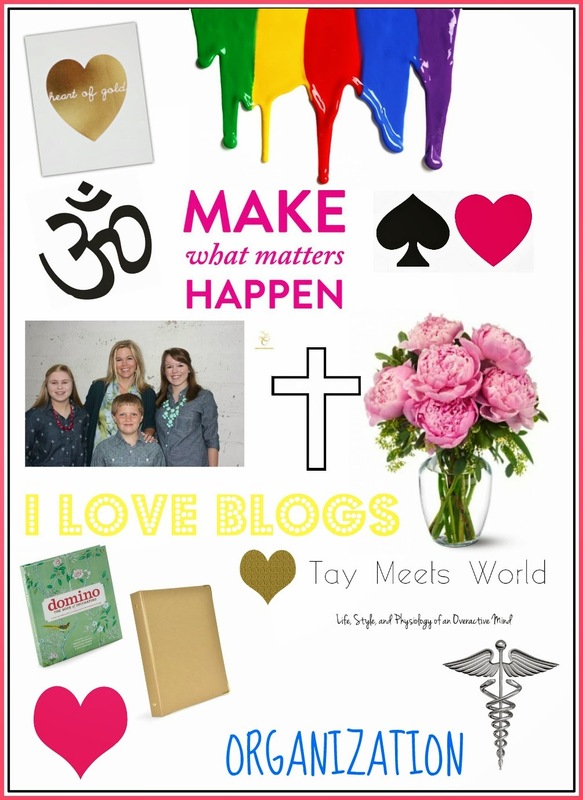 A few other things you see on this board are the "Om" symbol for yoga, something about yoga is so motivational and energizing, the kate spade logo, I absolutely adore her collection, and Lara Casey's Make It Happen brand she has built. I have a previous post here about her power sheets that have helped me organize and establish the goals in my life, you need to check them out! The last thing on my inspiration board is "Organization," this is a big one because I love working in an organized space. Just like my planner, my organized apartment is a mantra of inspiration that keeps me staying alive! I basically splattered you with tons of "stuff" that I like to call inspiration, but the real question is "What inspires YOU?" Please share and comment below I would love to hear from you! P.S Leaving you with the crazy four today.